AIT Toolkit plugin is required to use this Custom Post Type. 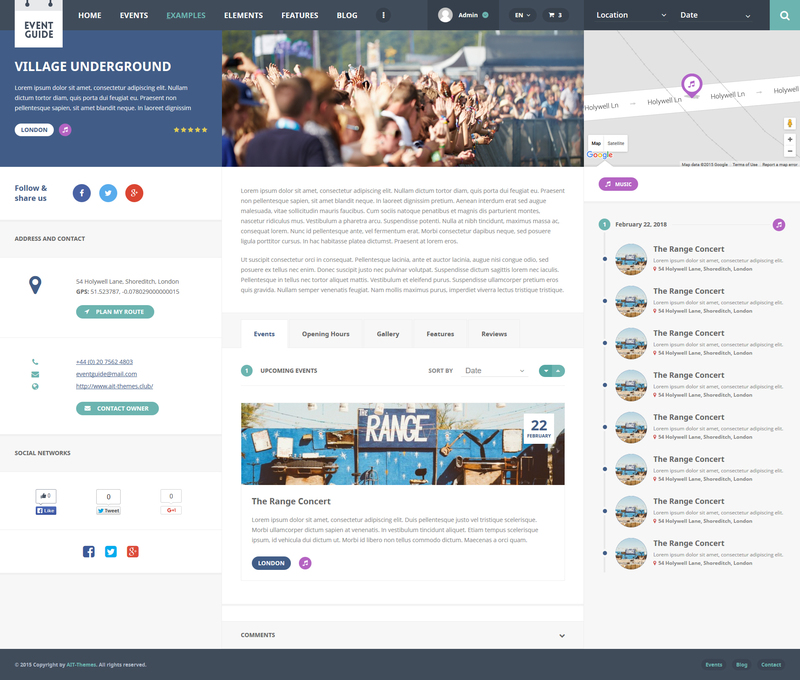 To insert new business within this theme, navigate to the Items Custom Post Type and click “Add New” in the WordPress menu, or at the bottom of the page. We will start with title for our new business. 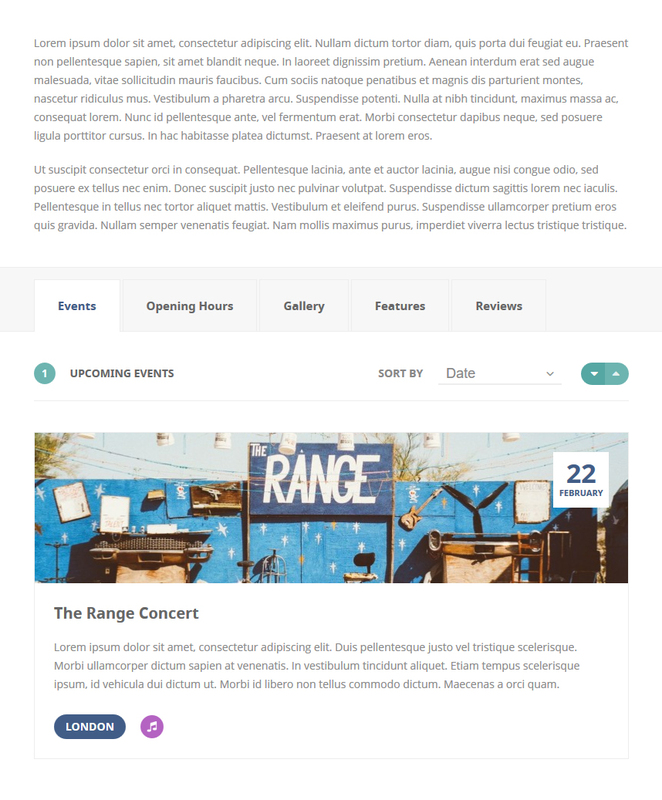 First of sections displayed in detail of item is the content section with others sections displayed in tabs below. Excerpt field is used as description of Item, excerpt text is displayed for Items in search results or other lists of Items on website. This section does not have any administration. It displays only if there was any event assigned to this item. Section shows all the assigned upcoming events with a sorting filter. Opening Hours has own section for administration. Days are static Monday to Sunday. 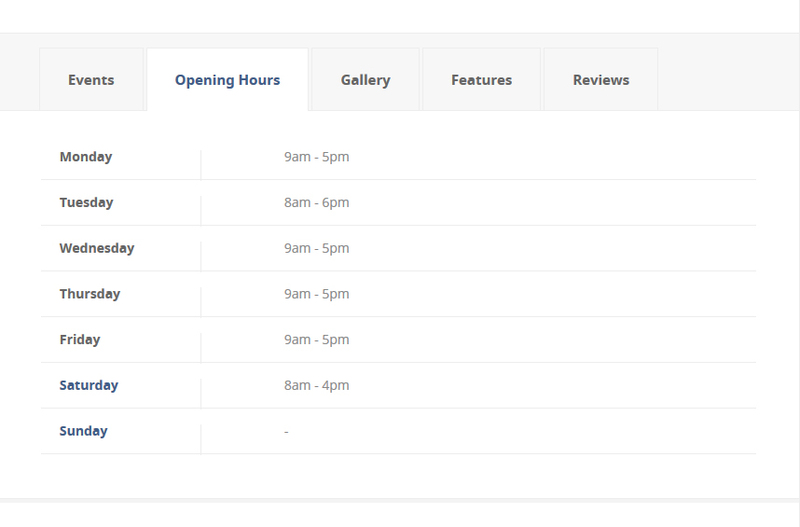 Available is also Note text field to write some additional text with opening hours. 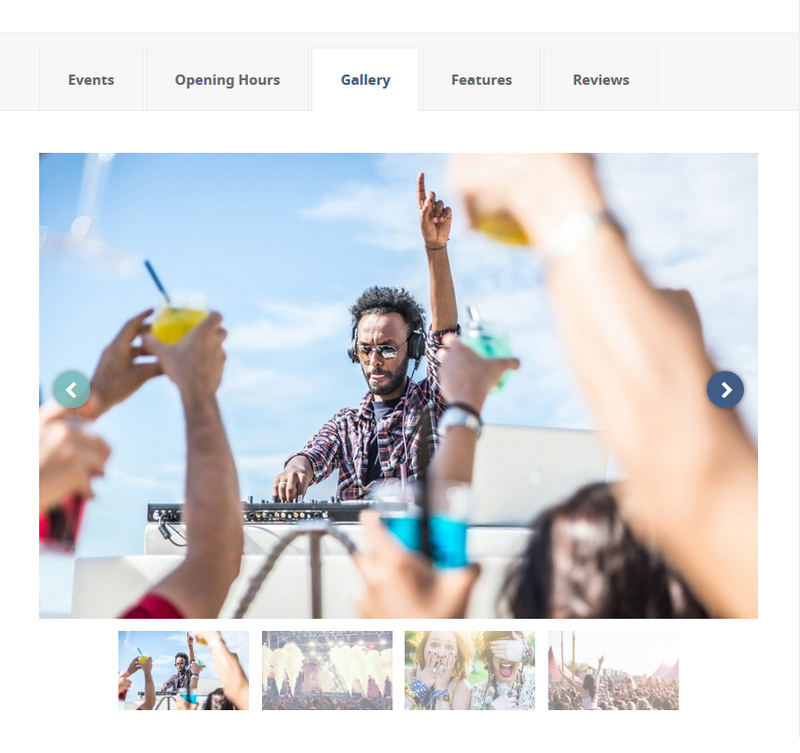 Gallery section is displayed when there is at least a one image in the gallery and show input is set to “on”. Administration of Address is available in General section of Item edit screen. It includes map search function, so all you have to do is type the street – map do the rest to get Latitude and Longitude coordinates after click on the Find button. Coordinates are necessary to place marker on the map in correct position. 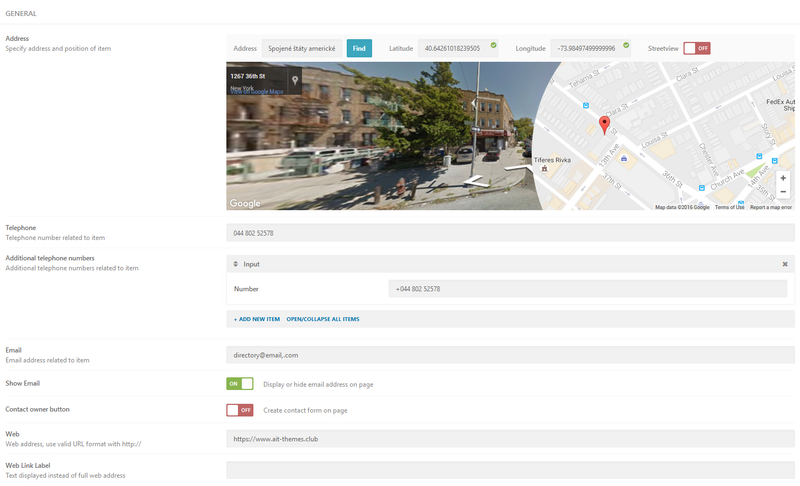 If you decide display rather Street View instead standard Google Map, simply turn on Streetview option and set the view on the map – the same position will be displayed in the header of Item page. Social icons with own links are managed from Social section, where you can add own icon image and link opened in the same or new window. If you do not want use own images as icons, available is selection of predefined icons displayed in default colors of social network – additionally you can change the color to more preferred. 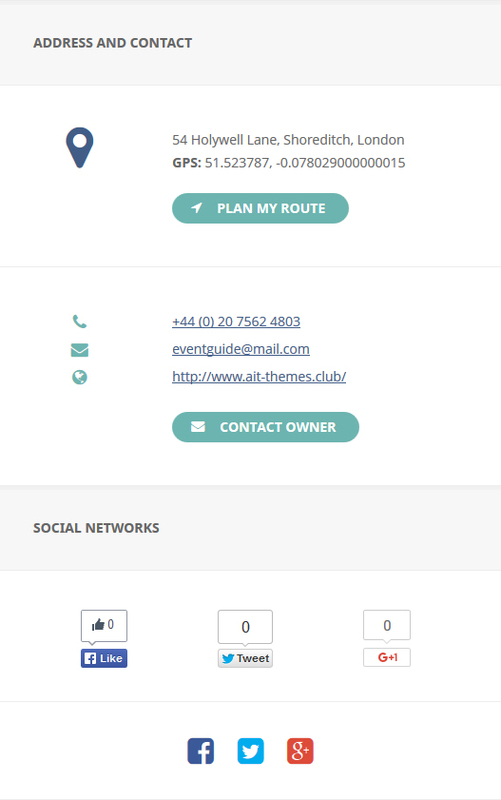 Address, contact and social networks are displayed in top of the left static sidebar, which is unsortable element in our Page Builder.